College students love free food, flocking to even the driest of campus events if pizza is on the table. But there are still times when clubs and organizations overestimate the amount of food needed and perfectly good grub gets tossed in the trash. A research team at Pitt recently developed an app that aims to address the problem. 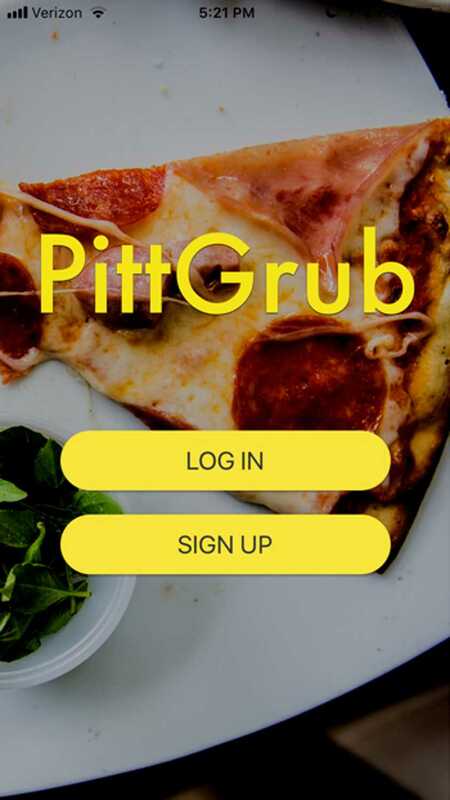 The app, called PittGrub, connects hungry college students to events with leftover free food around Pitt’s campus. This team includes Alexandros Labrindis, a professor in the computer science department, Mark Silvis, a software developer and graduate student at Pitt, and Anthony Sicilia, a senior majoring in computer science. Sicilia said he’s excited to use data science and machine learning in order to tackle real-world problems affecting college students. “I think it’s important that these kinds of things are being used for a social issue like food waste and food insecurity,” Sicilia said. Labrindis, the principal investigator for the project, projects that the app will officially release within the next month to month and a half. In the meantime, interested students can sign up for updates on the PittGrub website in order to be notified when the app becomes available in the App Store. According to Labrindis, his team had the idea for the app when looking into building apps around location-based services, and he soon realized he was tackling a major campus issue. According to a 2017 New York Times article, the world throws out 1.3 billion tons of food a year — approximately a third of all the food we grow. Pitt dining services also revealed that students waste over 1,145 pounds of food daily on campus. Sicilia said this new app has the potential to minimize this surplus food issue. Sicilia and Labrindis both emphasized that their app stands out in that it prioritizes who gets notifications based on their particular needs. If a student shops at the Pitt Pantry — the student pantry where food-insecure students can shop for free nutritious foods — they can self-report this on the app and will receive priority over other students for notifications. Sicilia said users can also choose certain food preferences based on their needs, such as vegetarian options, lactose free and gluten free. Although inclusivity is a major aspect of PittGrub, Labrindis explained that the app limits the amount of students that it invites to certain events in order to avoid bombarding users with tons of notifications and situations where too many people show up and there’s not enough food for everyone. He said PittGrub aims at minimizing these frustrations. “Let’s say 1,000 people sign up [for the app] and there’s an event that has 100 servings. Only 200 will get notified at one time,” Labrindis said. The research team for PittGrub has reached out to Pitt’s dining services and Sodexo to help coordinate foodsharing events. Nick Goodfellow — the sustainability coordinator at Sodexo — said PittGrub will be a useful complement to already-existing support groups. Certain students groups, like Food Recovery Heroes, already take care of unused ingredients. “We work with them to safely recover the food and they take a couple pans of chicken from Market Central that have been cooled or frozen and they’ll deliver to a local hunger fighting agency or housing authority building,” Goodfellow said. But he said this cannot be done with catered food events because it doesn’t pass the same food safety guidelines – which is where PittGrub comes in. Goodfellow cited a popular Facebook group, Pitt FoodShare, that follows the same premise as PittGrub, but notifies every person in the Facebook group. Goodfellow said he thinks PittGrub will be a useful alternative because it will target students more based on their needs. Regardless of any changes made before the apps release, Labrindis said the main goal of PittGrub will be to make it easier for all students to find food on campus, regardless of their financial status or food allergies.